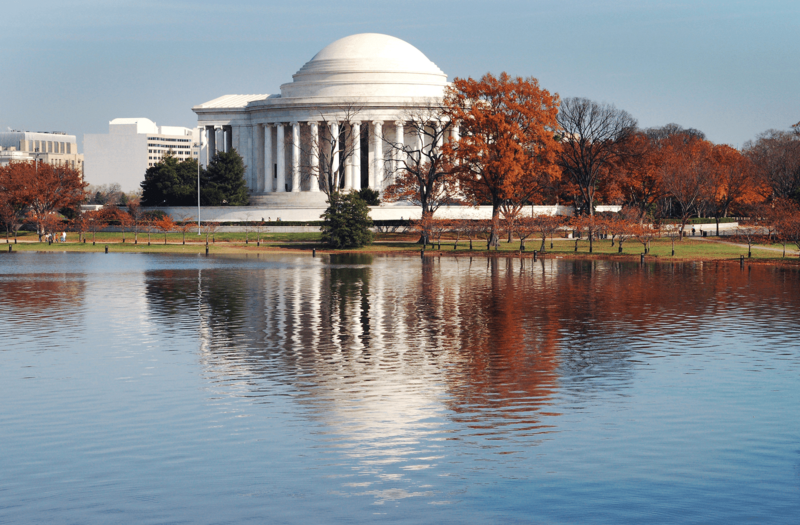 4 Can't-Miss Thanksgiving Events in Washington, D.C. - American Executive Sedan Service, Inc.
25 Oct 4 Can’t-Miss Thanksgiving Events in Washington, D.C.
Thanksgiving is rapidly approaching, which means time is running out to plan your holiday celebration. Lucky for you, there are many wonderful Thanksgiving events in Washington, D.C., making it simple to celebrate the holiday with friends and family members. 1990 K St. NW, Washington, D.C.
Cranksgiving represents a one-of-a-kind charity food drive and autism awareness event. This “food drive on two wheels” is now in its fourth year in D.C. and allows you to promote cycling, raise autism awareness and more. Perhaps best of all, Cranksgiving enables you to support Miriam’s Kitchen, a nonprofit organization that is committed to ending homelessness and hunger. Cranksgiving encourages bikers to participate in a fun, exciting scavenger hunt during which they pick up food items as they bike across the D.C. area. Plus, all of the food items that participants collect will be donated to Miriam’s Kitchen. Tune up your bike and participate in Cranksgiving – you’ll be glad you did! This year’s Cranksgiving will take place Nov. 12 and allows you to get plenty of exercise and support a great cause at the same time. Burn off calories before Thanksgiving dinner at the 15th Annual Thanksgiving Day Trot for Hunger. This Turkey Day race will take place Nov. 24 and allows participants to join hundreds of racers to support SOME (So Others Might Eat), a community-based organization that assists the poor and homeless in D.C. The Thanksgiving Day Trot for Hunger has been an ongoing success and provided more than 384,000 meals to hungry men, women and children in D.C. last year. Furthermore, the 5K race enables you to run for a worthy cause with friends and family members, providing the perfect opportunity to kick off your Thanksgiving Day festivities. Reston Town Center, Reston, Va.
Want to avoid the hustle and bustle of shopping on Black Friday? Instead, check out the Reston Holiday Parade, a D.C.-area holiday celebration that features Macy’s-style balloons, dancers, musicians and more. The Reston Holiday Parade offers a fun-filled event for guests of all ages, and for good reason. In addition to the parade itself, event-goers can get their pictures taken with Mr. and Mrs. Claus, enjoy mini-train rides and even watch a holiday tree lighting unlike any other in the D.C. area. For a post-Thanksgiving Day celebration that you won’t soon forget, attend the Reston Holiday Parade. The event kicks off Nov. 25 at 11 a.m. at Reston Town Center. 3001 Connecticut Ave. NW, Washington, D.C. When it comes to holiday celebrations, ZooLights at the National Zoo is a must-see for D.C. residents and visitors alike. This annual holiday celebration kicks off Nov. 25 and will feature more than 500,000 environmentally friendly LED lights that transform the zoo into a winter wonderland. ZooLights also features a wide range of attractions and rides. As a result, both kids and parents may find a lot to like about this awe-inspiring post-Thanksgiving celebration. Let’s face it – Thanksgiving travel in D.C. can be a hassle, regardless of whether you drive on your own or book a taxi service. For those who drive on their own, Thanksgiving traffic can be difficult to navigate. And as motorists rush from place to place around Thanksgiving, you may be stuck in traffic for hours – the last thing anyone wants to deal with during the holiday season. If you opt for a taxi service for Thanksgiving travel, there are no guarantees that you’ll be able to reach your final destination on schedule. Taxi services likely will be in high demand during the holiday season, which means you may wind up paying more for your taxi trip as well. You can, thanks to American Executive Sedan. At American, we want to help you take the guesswork out of holiday travel. We offer an extensive vehicle fleet that guarantees you can get where you need to go quickly and effortlessly. Executive Sedan – Boasts a black exterior, tinted windows and plush seating, ensuring you can travel in comfort and style at any time. Luxury SUV – Provides ample seating for up to six passengers, along with plenty of luggage space. Limousine – Offers leather interior, a full-length bar and other luxury features to guarantee you can enjoy a superb travel experience. Sprinter Limousine – Includes wraparound leather seating for up to 12 passengers. Let’s not forget about our friendly, professionally trained chauffeurs, either. American employs only the best chauffeurs to serve our customers, and each chauffeur will go above and beyond the call of duty to ensure you can reach your Thanksgiving celebration on time. On the date of your trip, your chauffeur will arrive to pick you up on schedule. Your chauffeur will assist you with your luggage and provide first-rate ground transportation to your Thanksgiving celebration. After your Thanksgiving event reaches its conclusion, your chauffeur will be ready to drive you home at your convenience too. Streamline your Thanksgiving travel plans by booking reservations with American. Our team will simplify the process of traveling from Point A to Point B on Thanksgiving and do everything possible to ensure you can enjoy your travel experience. We’ll make it easy for you to focus on what’s important: celebrating Thanksgiving with friends and family members.